The world’s most populous country will witness a leadership transition this week. Observers are watching closely to predict what the political and economic repercussions could be for China’s future. Once every five years, top officials in the Chinese Communist Party (CCP) convene in Beijing to unveil who will become the ruling elite of China. 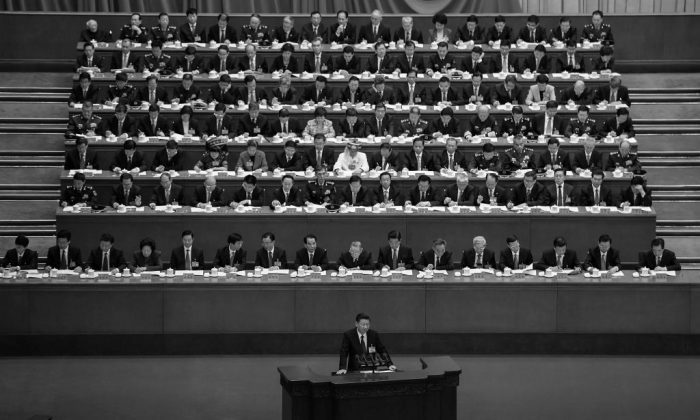 At the top are the 200-plus members of the Central Committee, with its ruling Politburo, a group of 25, within which the Politburo Standing Committee is the major decision-making body and the top leaders of the Party. There are currently seven members on the standing committee, but that number has changed over the years. Current Chinese leader Xi Jinping is expected to stay on as boss for another five years. The first half of his reign has seen Xi consolidating his power and eliminating enemies in the opposing faction—namely, those loyal to former CCP leader Jiang Zemin—via his anti-corruption campaign. A large number of the top officials at the 19th congress will either be retiring or have already been ousted by Xi. How many allies can Xi place at the very center of power alongside him in the standing committee? We won’t know until the congress concludes on Oct. 24. For now, there have been clues as to what Xi sees as his political priorities, provided at the Central Committee’s preliminary meetings, known as the seventh plenary session, which just finished on Oct. 14. The official communique published after the plenary session describes the Party’s guiding ideologies, saying that the Politburo has “carried out the spirit conveyed in Xi’s series of important speeches and his new concepts, ideas, and strategies for managing state affairs.” Zhou Xiaohui, a China analyst for The Epoch Times, sees this as a hint that Xi will be adding his own political doctrine to the Party’s constitution, which will further reinforce his power within the Party. Each CCP leader has added an ideology to the constitution that defines and enshrines his legacy. Xi not only wants to leave his own mark, but place it in high regard. Unlike the previous few plenary sessions, this year’s communique mentions Marxism-Leninism and “Mao Zedong thought,” the former paramount Party leader’s own brand of ideology, alongside more recent leaders’ ideologies, suggesting that Xi will be placing his doctrine on the same level as the Party’s early masterminds, Zhou said. Xi’s choice to align himself with the Party’s originators is a move toward the left, which is further confirmed in the communique with mentions of the importance of “Party building” and the Party’s control over the country. Xi is hinting at a desire to strengthen the CCP’s role within Chinese society, Zhou said. Meanwhile, Hong Kong media have reported rumors that Xi plans to increase the number of vice-chairman positions in the influential Central Military Commission from two to three or four, in an effort to spread out the power of the military. Under former leader Jiang’s rule, top military generals Guo Boxiong and Xu Caihou amassed great power in their positions as vice-chairmen. Xi expelled both from the Party and handed them over for prosecution for corruption. But to avoid future rivals in the military, Xi could be taking preventive measures to solidify his commander-in-chief position. The Diplomat reported that two Military Commission members, Fang Fenghui and Zhang Yang, were recently removed from the delegate list for the 19th congress. Most political observers believe the 19th congress will follow the economic line already laid down by Xi. During the past few years, the Chinese regime has emphasized the need to reform state-owned enterprises (SOEs). SOEs dominate important sectors such as transportation, energy resources, and steel manufacturing. For Xi, it is imperative that SOEs be run more efficiently. This year, the partial privatization of China Unicom, a state-owned telecommunications operator, marked the regime’s attempt at “mixed ownership” reform: allowing sales of minority stakes in SOEs to private investors. The new leadership after the 19th congress is likely to continue restructuring SOEs. But as long as the state has control over a company, there cannot be true reform, said Chinese economist Mao Yushi. “It will always be about the Party’s interests, rather than the company’s interests. Therefore, there is no real hope for reforming SOEs,” Mao told The Epoch Times in an interview in August. Furthermore, the “Party building” mentioned above and emphasized by the regime connotes that companies in China—state-owned or otherwise—will continue to have a Party structure that coexists with the business management structure. The CCP has also clamped down on capital flowing out of the country. In June, China’s banking regulator began probing the finances of major firms that have made large overseas acquisitions, including Anbang, an insurance group that owns the Waldorf-Astoria hotel in New York, and Dalian Wanda, which bought the cinema chain AMC Theatres. Investors and firms will likely look to the 19th congress for rhetoric that might suggest the new leadership’s regulatory tendencies.